Clinically-proven to improve many symptoms of stroke including memory performance and coordination. Neurofeedback therapy is an effective treatment for stroke. Stroke is a type of traumatic brain injury (TBI) that can often leave the brain with abnormal and irregular brain waves. These types of injuries typically have no treatment options as the brain generally needs to repair itself, and injured brains are far more likely to experience trouble with this natural healing process. Neurofeedback promotes this self-healing by slowly retraining the brain to return to normal functions. Many stroke victims treated with neurofeedback report significant improvements to their quality of life after undergoing treatment. Neurofeedback helps decrease the severity of stroke symptoms. Stroke is a disorder that affects millions of Americans each year and occurs when the blood supply to any part of the brain is interrupted or severely reduced. This disruption prevents the brain from getting oxygen and nutrients, and can kill (brain) cells within minutes. When brain cells die during a stroke, bodily functions and abilities controlled by that area of the brain can be lost, sometimes temporarily but many times permanently. 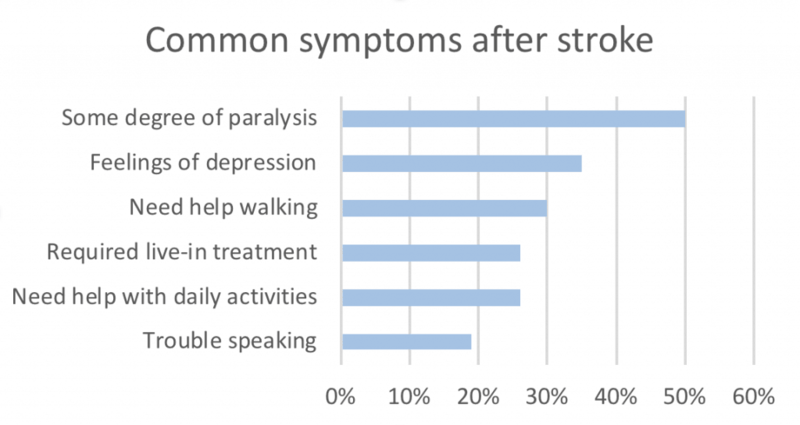 Although some people can recover completely from a stroke, approximately 2/3rds of stroke victims live with some type of disability after the event. The degree of severity of stroke symptoms depends largely on where the stroke occurs in the brain and how much of the brain is damaged. There are two types of stroke, each caused by a unique event. Thrombotic stroke which is caused by a blood clot forming in an artery that supplies blood to the brain. A clot may be caused by one of a number of different artery conditions, the most common being plaque build-up. Embolic stroke which occurs when a blood clot forms away from the brain (such as in the heart) and then travels through the bloodstream and gets lodged in a brain artery. Intracerebral hemorrhage which occurs when a blood vessel in the brain bursts and damages the cells in the surrounding tissue. Subarachnoid hemorrhage which is caused by an artery near or on the surface of the brain bursts and the blood spills into the space between the brain and the skull. Although not technically a stroke, when blood flow to part of the brain is disrupted for a short period of time, it is called a transient ischemic attack (TIA). The effects of these attacks mimic stroke-like symptoms and may be an important pre-stroke indicator for the patient. What are the leading causes of stroke? Studies show that 80% of strokes are preventable, despite stroke being the 5th leading cause of death for Americans and the leading cause of adult disability. Is Neurofeedback Therapy a clinically proven treatment for stroke? There are many research studies that show positive support for neurofeedback as a treatment for stroke. 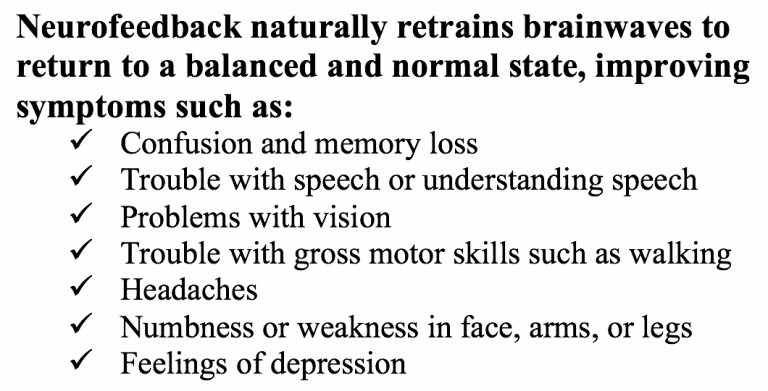 Please see a few examples below and don’t hesitate to contact MyBrainDr for additional information and studies. Specific effects of EEG based neurofeedback training on memory functions in post-stroke victims. Effect of neurofeedback and electromyographic-biofeedback therapy on improving hand function in stroke patients. MyBrainDr successfully treats stroke patients with neurofeedback therapy in Cary, North Carolina. Click the button below to schedule your free consultation today!